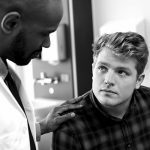 An important clinical and public health intervention: Performing a screening test for HIV on all individuals over the age of 13 is an important clinical intervention and an important public health intervention as the gateway to care for both people who are living with and are at risk of exposure to HIV. When results are positive, the law specifies that the healthcare provider who ordered testing is responsible for providing or arranging for an appointment for rapid follow-up HIV care. The current gold standard of care for a newly diagnosed person is to initiate HIV antiretroviral treatment (ART) on the same day. If a patient is not able to start treatment on the day of diagnosis, every effort should be made to initiate ART as soon as possible, and no patient who is ready for ART should have to wait longer than 30 days. HIV testing, therefore, is the first step in linking a person to care for immediate offering of treatment. When results are negative, HIV testing affords a critical opportunity to assess whether the person is a candidate for HIV pre-exposure prophylaxis (PrEP), in which case automatic referral is indicated, or whether routine prevention education is the only intervention needed (see the NYSDOH AI guideline PrEP to Prevent HIV Acquisition). Whether positive or negative, the HIV test should be seen not as an isolated activity but rather as the point of entry to the continuum of care and prevention. In New York State (NYS) the terms “clinical/symptomatic HIV illness or AIDS,” “AIDS or HIV-related illness,” and other similar terms shall mean laboratory-confirmed HIV diagnosis (source: NYSDOH June 2016 Policy Statement: Defining Program Eligibility by HIV Status). Accurate diagnosis or exclusion of HIV: This guideline provides an overview of the screening and diagnostic methods that are critical to accurate diagnosis or exclusion of HIV, including the Centers for Disease Control and Prevention (CDC) and the Association for Public Health Laboratories (APHL) testing algorithm for the diagnosis of HIV infection (see Steps in the HIV Diagnostic Testing Algorithm). This guideline supports the Ending the Epidemic initiative, which seeks to end the AIDS epidemic in NYS by the end of 2020, by integrating current evidence-based clinical recommendations into the HIV testing-related Blueprint Recommendations (BP) of ETE: BP1) make routine HIV testing truly routine, BP2) expand targeted testing, and BP3) address acute HIV infection. Widespread use of scientific advances such as 4th-generation diagnostic screening is a means of reducing the number of New Yorkers unaware of their HIV status, including those who are at increased risk for transmitting HIV during acute infection. The algorithm’s specific sequence of tests for detecting HIV antigens (Ags), antibodies (Abs), and nucleic acids is a significant departure from the previous HIV testing recommendations that were based on Ab screening followed by Western blot confirmation. The updated algorithm is based on extensive evidence that a specific combination of laboratory tests provides maximal sensitivity, specificity, and accuracy for HIV detection. Clinicians must perform diagnostic HIV laboratory tests in full compliance with New York State HIV/AIDS Laws and Regulations. Additional information regarding testing procedures and regulations is available from the Wadsworth Center (518-474-2163). Report confirmed cases of HIV according to New York State Law (see NYSDOH Provider Reporting and Partner Services). Clinicians should offer assistance with notifying partners or should refer patients to other sources for partner notification assistance (see Partner Services in New York State or the Contact Notification Assistance Program in New York City). See the NYSDOH AI guidelines PEP for HIV Prevention and PrEP to Prevent HIV Acquisition. Clinicians should not delay initiation of ART pending results of repeat testing (see the NYSDOH AI guideline When to Initiate ART). NOTE: Recommendations for management when acute HIV is suspected are available in the NYSDOH AI guideline Diagnosis and Management of Acute HIV. Patients presenting for testing for possible exposure to HIV should be assessed for PEP (see the NYSDOH AI guidelines on PEP for HIV Prevention). Expert advice may be obtained from the Clinical Education Initiative CEI PEP Line at 866-637-2342. HIV screening and diagnostic tests are designed to detect specific markers of infection. These markers may be virologic, such as viral proteins or nucleic acids, or immunologic, such as Abs produced in response to HIV infection. When conducting testing for HIV infection, it is important to begin with an initial test that is highly sensitive and capable of detecting the broad range of HIV variants. HIV testing should begin with an immunoassay that has been approved by the FDA as an initial test to detect HIV-1 and HIV-2 infection. Advances in immunoassay technology have led to a progressive improvement in assay sensitivity and/or specificity (see Figure 1). The advantages and disadvantages of the various FDA-approved HIV immunoassays used for HIV screening have been organized into an easy-to-use reference table, which is available from the CDC along with other resources on HIV laboratory testing. All immunoassays designed for initial screening may produce false-positive results for a variety of reasons (see Table 1: Reasons for False-Positive, False-Negative, and Indeterminate HIV Screening Test Results, below) and all reactive results from an HIV screening test, regardless of the method, should be interpreted as preliminary. Further testing is required to verify the reactive screening result and confirm the presence or absence of HIV infection. In addition to improving sensitivity and specificity, several manufacturers have developed HIV screening tests for use with random access instrument systems. These systems eliminate or reduce the need for laboratories to batch samples and are capable of producing an HIV screening test result very quickly, within an hour in many cases. Immunoassays that are used for initial HIV screening can be divided into two main categories: 1) enzyme or chemiluminescent immunoassays (EIAs, CIAs) that rely on specific instrumentation; and 2) rapid screening tests, which use simple, single-use devices that produce a result in 30 minutes or less. All of the EIA and CIA tests must be conducted by licensed technologists in a clinical laboratory. Several of the FDA-approved rapid screening tests were designed for point-of-care (POC) use and have received a CLIA waiver, which allows them to be performed in non-laboratory settings. It is essential to order HIV diagnostic testing from clinical laboratories that follow the CDC/APHL Recommended Laboratory HIV Testing Algorithm for Serum and Plasma Specimens. Consult the specimen collection and handling instructions provided by the laboratory to ensure that the specimen will be suitable for all tests in the algorithm. When possible, blood should be collected by venipuncture and submitted to a clinical laboratory for HIV diagnostic testing. Many labs will reflex additional screening steps (such as a differential HIV Ab assay and HIV RNA) on the original sample without supplemental orders from the clinicians. Other labs may require additional samples and/or clinician orders to complete the algorithm. Clinicians are advised to become familiar with the internal testing algorithm and results-reporting policies of their laboratories. Diagnostic HIV laboratory tests and interpretation algorithms evolve, and individual laboratories may have differing internal protocols for reporting tests with preliminary results. Indeterminate, inconclusive, nondiagnostic, and pending confirmation are among the terms used when preliminary results cannot be classified definitively. A reactive result on the initial screening test with inconclusive supplemental serologic testing may represent either a false or a true positive. In the setting of acute HIV infection, a nonreactive supplemental Ab test may be a false-negative, and further testing with an HIV RNA assay is indicated. The clinician should contact the laboratory to determine the significance of the nondefinitive results and the supplemental testing that is indicated. Determining the significance of the nondefinitive results is of particular importance when testing pregnant individuals, newborn children, and patients with suspected acute HIV infection or HIV-2. Increased sensitivity of assays, leading to reduced specificity. Specimen mix-up or mislabeling, in which the laboratory inadvertently switches two samples, one being positive and the other negative. Contamination, in which material from a positive sample is introduced into a negative sample as a result of mishandling, poor laboratory technique, or instrument malfunction. Misinterpretation of visually-read rapid test, which may result from operator error if the correct procedures for performing or reading the test are not followed. Presence of HIV Abs in recipients of HIV-1 trial vaccines. Hypergammaglobulinemia/Abs reactive to cellular components. Influenza vaccination may cause cross-reactivity with HIV Ab assays. The time course for such cross-reactivity remains uncertain. Eclipse period before detection of Ag or HIV RNA is possible. Acute infection (before seroconversion), with screening performed using a less sensitive method that detects Abs only. Early stage of seroconversion, with screening performed using a less sensitive method that does not detect early (IgM) Abs. Specimen mishandling, in which a positive sample is exposed to conditions that cause degradation of test analytes (e.g., p24 Ag). Delayed Ab synthesis in infants and those receiving PEP or PrEP or who have concurrent acute hepatitis C infection. Diminished immune response in individuals receiving intensive or long-term immunosuppressive therapy. Congenital or drug-induced hypogammaglobulinemia or agammaglobulinemia. Insufficient host Ab response (i.e., advanced HIV disease). Unavailability of Abs due to the formation of Ag-Ab complexes. Point-of-Care (POC) HIV Screening Tests: HIV tests performed at or near the patient care or nonclinical settings. These tests often provide results within 60 minutes. Although POC HIV screening tests are not part of the CDC/APHL diagnostic testing algorithm, the designation “point-of-care testing” is beginning to blur with new developments in testing technology and electronic reporting that allow more complex laboratory tests to produce rapid results that are available quickly in the patient care setting. Rapid HIV Screening Tests: HIV screening tests that provide results within 60 minutes. Rapid screening tests may be performed at either the POC or the laboratory. Rapid screening tests are not part of the CDC/APHL diagnostic testing algorithm. Instrument-Based HIV Screening Tests: HIV immunoassays performed in laboratories using serum or plasma samples from patients. These screening tests are more complex than rapid screening tests, require instrumentation for performing the test or for reading the results, and are performed in a clinical laboratory. Some instrument-based tests provide results within 60 minutes. The NYSDOH strongly recommends that all New York State birth facilities use the pediatric HIV testing services at the Wadsworth Center. For information about this service, which is free of charge for New York State clinicians providing care for HIV-exposed infants, contact the Wadsworth Center at 518-474-2163. Facilities that choose to use laboratories other than the Wadsworth Center should verify that the testing is performed with an HIV nucleic acid test (NAT) that has been validated and approved for diagnosing HIV infection, including non-B subtypes of HIV-1. See the NYSDOH AI guideline Diagnosis of HIV in Exposed Infants. The HIV-1 Western blot and HIV-1 indirect immunofluorescence assay (IFA) are no longer recommended for confirming a reactive screening test and are not part of the recommended testing algorithm. The majority of new HIV infections detected continue to be identified by confirming the presence of Abs to HIV-1 and HIV-2. When the recommended algorithm is used, laboratory reporting may include the reporting of the screening test result, and if reactive, additional confirmatory results. However, a single confirmatory test for establishing a laboratory diagnosis of HIV infection is no longer in use. Rather, laboratory evidence of HIV infection is determined by interpreting the full set of results from a specific sequence of initial and supplemental tests to reach a final conclusion. The supplemental tests used in the recommended HIV testing algorithm for laboratories confirm reactivity and include an HIV-1/2 Ab-differentiation test that detects and discriminates between HIV-1 and HIV-2 Abs with high specificity. If the supplemental Ab test is negative or indeterminate, an HIV-1 RNA test can verify the presence of an acute HIV-1 infection. In 2014, the CDC issued a revised three-step HIV testing algorithm, which is intended for HIV diagnostic testing performed on serum and plasma specimens (see Figure 2). CDC/APHL HIV testing recommendations for laboratories: According to the CDC/APHL recommendations in Figure 2, above, laboratories should conduct initial testing for HIV with an FDA-approved Ag/Ab combination immunoassay that detects HIV-1 and HIV-2 Abs and HIV-1 p24 Ag to screen for established infection with HIV-1 or HIV-2 and for acute HIV-1 infection. The CDC/APHL recommends that specimens with a reactive Ag/Ab combination immunoassay result (or repeatedly reactive, if repeat testing is recommended by the manufacturer or required by regulatory authorities) should be tested with an FDA-approved supplemental immunoassay that differentiates HIV-1 Abs from HIV-2 Abs. If the initial Ag/Ab combination immunoassay is reactive and the HIV-1/2 Ab-differentiation immunoassay is positive for HIV-1 Abs, HIV-2 Abs, or HIV Abs, this should be interpreted as positive for HIV. A reactive HIV-1 NAT result and nonreactive HIV-1/2 Ab-differentiation immunoassay result indicates laboratory evidence for acute HIV-1 infection. A reactive HIV-1 NAT result and indeterminate HIV-1/2 Ab-differentiation immunoassay result indicates the presence of HIV-1 infection confirmed by HIV-1. A negative HIV-1 NAT result and nonreactive or indeterminate HIV-1/2 Ab-differentiation immunoassay result indicates a false-positive result on the initial immunoassay. The CDC/APHL recommends that laboratories use this same testing algorithm, beginning with an Ag/Ab combination immunoassay, with serum or plasma specimens submitted for confirmation of a reactive rapid screening test. An exception may be made when serum or plasma is screened with the Alere Determine HIV-1/2 Ag/Ab Combo rapid test. If reactive, the specimen may be tested directly with the supplemental HIV Ab-differentiation test. HIV diagnostic testing of adults and children aged 2 years and older  should ideally begin with an FDA-approved HIV Ag/Ab combination test, also known as a 4th-generation immunoassay (see Table 2: FDA-Approved 4th-Generation HIV-1/2 Ag/Ab Combination Immunoassays for Step 1 of Recommended Laboratory Algorithm). Clinicians should request HIV diagnostic testing from a laboratory that offers a 4th-generation HIV-1/2 Ag/Ab combination immunoassay as an initial screening test. If this initial immunoassay is reactive, the laboratory should progress directly to the supplemental testing sequence of the recommended HIV diagnostic testing algorithm and follow the recommended testing steps through completion to conclusively confirm or exclude laboratory evidence of HIV infection. Establishing the exact window period for a particular diagnostic test is challenging because the precise time of exposure is rarely known. The period after exposure but before virus can be detected is known as the “eclipse period,” and its length can vary depending on characteristics of the infecting virus and the individual infected [Fiebig et al. 2003]. In a study that applied modeling methods to estimate the time from exposure with subsequent infection to HIV RNA detection, the median length of the eclipse period was reported as 11.5 days [Delaney et al. 2017]. The Ag/Ab combination immunoassays will detect HIV-1 and HIV-2 Abs and HIV-1 p24 Ag, which is present during the acute stage before Ab seroconversion (antibody production) has begun. Fourth-generation HIV-1/2 Ag/Ab combination immunoassays: HIV-1/2 Ag/Ab combination immunoassays, also referred to as 4th-generation immunoassays, are capable of detecting HIV-1 p24 Ag, which is the viral capsid protein first circulating or circulating early during acute HIV-1 infection, as well as IgM and IgG Abs to HIV-1 and HIV-2. Although 4th-generation immunoassays cannot detect HIV infection during the eclipse phase, when neither Ag nor RNA is detectable, the ability to identify both HIV-1 p24 Ag and HIV-1/2 Abs in a single screening test enables detection of HIV early in the acute phase, during the seroconversion period, and throughout established infection, including in HIV controllers. Consequently, 4th-generation Ag/Ab combination immunoassays have a distinct advantage over all of the earlier generation screening assays which only detect Abs. For this reason, it is recommended that a 4th-generation HIV-1/2 Ag/Ab combination immunoassay be used as the initial screening test for all adults and children age 2 years and older. If the Ag/Ab test is nonreactive, then the interpretation is that the test is negative. As is the case for all of the HIV screening tests, false-positive results can occur. Therefore, supplemental testing is performed when a specimen is reactive on the Step 1 HIV Ag/Ab immunoassay. The recommended next step (see Step 2, below) is to perform an HIV-1/2 Ab-differentiation assay. As of February 2018, seven FDA-approved 4th-generation HIV Ag/Ab combo immunoassays are available. Four of the seven use technology that has been validated in combination with the recommended supplemental tests; all are approved for use in step 1 of the recommended laboratory algorithm (see Table 2: FDA-Approved 4th-Generation HIV-1/2 Ag/Ab Combination Immunoassays for Step 1 of Recommended Laboratory Algorithm). Six of the HIV Ag/Ab combo immunoassays employ either enzyme immunoassay or chemiluminescent immunoassay technology and require the use of specific instrumentation to perform the test and/or read the results. The Alere Determine HIV Ag/Ab rapid screening test is an FDA-approved 4th-generation HIV Ag/Ab combo rapid screening test. In this update, the CDC states that instrument-based HIV Ag/Ab screening tests are preferred for use in step 1 of the laboratory algorithm due to their superior sensitivity for detecting HIV during acute infection, but Alere Determine HIV-1/2 Ag/Ab Combo immunoassay may be used with serum or plasma (not finger stick whole blood) in this step. See the Rapid Screening Tests section of this guideline for more information on recommended procedures for confirming a reactive rapid screening test. As seroconversion proceeds and Abs to HIV are produced, p24 is bound in an Ag-Ab complex and becomes more difficult to detect by standard laboratory assays. Serologic assays that detect p24 Ag only are not recommended for any diagnostic purpose and are not available at most clinical laboratories. If an Ag/Ab combination assay is reactive, then the laboratory should continue with the recommended diagnostic testing algorithm as described. If the Ag/Ab assay is nonreactive but there is reason to suspect a very early acute infection, HIV-1 RNA testing should be performed as soon as possible to confirm or exclude acute HIV-1 infection. Third-generation HIV-1/2 Ab screening assays: Although 4th-generation Ag/Ab combination immunoassays are recommended for laboratories performing HIV testing, some laboratories may still use 3rd-generation and other less sensitive assays for HIV screening. Third-generation immunoassays use a “sandwich” technology that allows IgM and IgG Abs to be detected. IgM Abs are produced 2 to 3 weeks earlier than IgG, and therefore 3rd-generation immunoassays can detect infection weeks before 1st- and 2nd-generation immunoassays, which are limited to IgG detection. If a 4th-generation Ag/Ab assay is not available, a 3rd-generation immunoassay offers the next best sensitivity for early detection; however, early acute HIV-1 infections may not be detected by a 3rd-generation screening test. The CDC/APHL states that laboratories note this limitation on the test report when reporting a nonreactive 3rd-generation screening test result [CDC 2014]. Importantly, 3rd-generation immunoassays may detect infection weeks before the Western blot becomes positive, and Western blot confirmation is not recommended following a reactive 3rd-generation screening test. Several studies have shown that the HIV-1/2 Ab-differentiation test and HIV-1 RNA test performed according to the recommended laboratory algorithm are better than the Western blot for confirming a reactive 3rd-generation screening test result [Delaney et al. 2011; Styer et al. 2011; Wesolowski et al. 2011; Nasrullah et al. 2013]. If the initial screening result is reactive, the laboratory should test the specimen using an HIV-1/2 Ab-differentiation immunoassay that has been FDA-approved for use as a supplemental antibody test. If the HIV-1/2 Ab-differentiation test is positive for HIV-1 Abs or HIV-2 Abs, clinicians should proceed with medical evaluation for confirmed HIV-1 or HIV-2 infection. If the specimen is positive for HIV Abs but cannot be differentiated as HIV-1 or HIV-2, clinicians should proceed with medical evaluation for HIV infection and contact the Wadsworth Center at 518-474-2163 for assistance with obtaining HIV-1 and HIV-2 RNA testing. Geenius HIV 1/2 Supplemental Assay: On October 24, 2014, the Geenius HIV 1/2 Supplemental Assay (Bio-Rad Laboratories) received FDA approval for the confirmation and differentiation of individual Abs to HIV-1 and HIV-2. The Geenius HIV-1/2 Supplemental Assay is the only FDA-approved test currently available for use in step 2 of the CDC/APHL recommended diagnostic algorithm. The Geenius HIV 1/2 Supplemental Assay is a single-use immunochromatographic assay intended for the confirmation and differentiation of individual Abs to HIV-1 and HIV-2 in specimens that were found to be reactive by diagnostic screening procedures. The test is approved for use with whole blood, serum, or plasma specimens. Geenius uses four HIV-1 Ags derived from the core (p24), polymerase (p31), and envelope (gp41, gp160) proteins and two HIV-2 envelope Ags (gp36 and gp140). The assay produces results within 30 minutes, and results must be read with the Geenius Reader system, which uses validated software to interpret the test results. The Geenius Reader is also able to transmit results electronically to the laboratory’s information system, eliminating subjective result interpretation and error-prone manual data transcription. If the final assay Interpretation of the Geenius test is “HIV-1 Positive,” “HIV-2 Positive,” or “HIV Positive,” then antibodies are considered confirmed (see the package insert for additional information on the results reported in the Final Assay Interpretation). Geenius may also produce a Final Assay Interpretation that is indeterminate for either HIV-1, HIV-2, or untypable HIV. If Geenius is nonreactive or indeterminate for any HIV type (HIV-1, HIV-2, or untypable HIV), the next step should be to test the specimens for HIV-1 RNA, even if the result is HIV-2 indeterminate. Acute HIV-1 infections are much more common than HIV-2 infections and nonspecific reactivity could cause an HIV-2 indeterminate result to occur in some cases. If HIV-1 RNA is not detected and the Geenius result was HIV-2 indeterminate or HIV indeterminate, then an HIV-2 NAT may be warranted. Contact the Wadsworth Center Bloodborne Viruses Laboratory at 518-474-2163 for assistance with inconclusive HIV test results and, if needed, further testing to resolve HIV-2 infection status. If the Geenius interpretation is nonreactive or indeterminate for any HIV type (HIV-1, HIV-2, or untypable HIV), test the specimens for HIV-1 RNA, even if the result is HIV-2 indeterminate. Acute HIV-1 infections are much more common than HIV-2 infections. Nonspecific reactivity could cause an HIV-2 indeterminate result to occur in some cases. If HIV-1 RNA is not detected and the Geenius interpretation was HIV-2 indeterminate or HIV indeterminate, an HIV-2 NAT may be warranted. To aid in HIV diagnosis, see Step 3: HIV-1 NATs for Diagnosis of Acute and Early HIV-1 Infection, below, and HIV-2 RNA Tests for Diagnostic Use in this guideline. If the HIV-1/2 Ab-differentiation immunoassay is nonreactive or indeterminate, an HIV-1 RNA test should be performed immediately to confirm or exclude evidence of HIV-1 infection. Most laboratories reflex directly to an HIV-1 RNA test without requiring an additional test order or collection of a new specimen, either by performing the test in-house or by referring the specimen to another laboratory. To reflex directly to an HIV-1 RNA test, the laboratory must use a test kit that has been approved to aid in the diagnosis of HIV-1 infection either by the FDA or the NYSDOH. If HIV-1 RNA is detected, acute HIV-1 infection is present, and clinicians should proceed with clinical evaluation. If no HIV-1 RNA is detected, the initial immunoassay result is presumed to be a false-positive. If the laboratory is unable or does not automatically reflex directly to the RNA test, clinicians should order an HIV-1 RNA test as soon as possible. However, if the person being tested is receiving antiretroviral agents for PEP, PrEP, or rapid ART start, a false-negative result may occur for the HIV-1 RNA test. This result should be interpreted in the context of the overall clinical situation, and re-testing should be performed accordingly (see Table 2: FDA-Approved 4th-Generation HIV-1/2 Ag/Ab Combination Immunoassays for Step 1 of Recommended Laboratory Algorithm). APTIMA HIV-1 RNA Qualitative Assay: Currently the only NAT kit that is approved by the FDA for diagnostic use is the APTIMA HIV-1 RNA Qualitative Assay (Hologic Gen-Probe Inc). The APTIMA test is a NAAT that detects a specific region of the HIV-1 viral RNA genome by transcription-mediated amplification (TMA), a nucleic acid amplification method similar in principle to polymerase chain reaction (PCR). TMA differs from PCR in that the amplification occurs on a linear rather than logarithmic scale and the amplification product is composed of single-stranded RNA rather than double-stranded DNA. TMA is FDA-approved for use with serum or plasma specimens and produces a qualitative result (i.e., “Detected” or “Not Detected”). Data from analytical sensitivity studies presented in the package insert indicate that the APTIMA HIV-1 RNA assay achieved >98.5% detection for specimens containing 30 copies/mL of HIV-1 RNA and 100% detection for specimens containing 100 copies/mL. This detection level was also verified for HIV-1 specimen panels consisting of subtypes A, B, C, D, E, F, and G. The APTIMA HIV-1 RNA assay is performed by the NYSDOH and New York City Department of Health and Mental Hygiene (NYC DOHMH) public health laboratories and at several commercial laboratories. Many laboratories are unable to support use of the APTIMA assay because of the expense and the low volume of specimens that require qualitative RNA testing. Many laboratories are already performing HIV-1 quantitative testing for viral load monitoring, and maintaining an additional qualitative test for diagnostic purposes may be impractical and not economically feasible. The NYSDOH strongly recommends that all New York State birth facilities use the pediatric HIV testing services at the Wadsworth Center. The Wadsworth Center uses the APTIMA HIV-1 RNA Qualitative Assay, which has been demonstrated to identify HIV infection earlier in non-breastfed infants than methods based on PCR amplification of proviral DNA (see the NYSDOH AI guideline Diagnosis of HIV in Exposed Infants). Quantitative HIV-1 RNA tests: Quantitative HIV-1 RNA tests are widely available and have been approved by the FDA only for monitoring prognosis of HIV-1 infection and response to ART. Although regulatory restrictions may prevent laboratories from reflexing to a quantitative HIV-1 RNA test as part of the diagnostic testing algorithm, the NYSDOH recommends that clinicians order quantitative HIV-1 RNA for the presumptive diagnosis of acute HIV infection. With a quantitative HIV-1 RNA test, an HIV viral load ≥ 5,000 copies/mL is used to diagnosis acute HIV infection (see the NYSDOH AI guideline Diagnosis and Management of Acute HIV). The performance qualities of the HIV-1 viral load tests are discussed further in the NYSDOH AI guideline Virologic and Immunologic Monitoring. For further guidance in identification and management of acute HIV infection, see the NYSDOH AI guideline Diagnosis and Management of Acute HIV. See the NYSDOH Dear Colleague Letter (September 2018) for information related to prevention of mother-to-child transmission of HIV. Issues addressed in the letter are: 1) intrapartum antiretroviral therapy/prophylaxis, 2) neonatal antiretroviral prophylaxis and 3) HIV testing of infants and children less than 24 months of age. CMIA, chemiluminescent microparticle immunoassay; ECLIA, electrochemiluminescence immunoassay; EIA, enzyme immunoassay. *The Alere Determine HIV-1/2 Ag/Ab Combo rapid screening test may be used for step 1 in the laboratory algorithm with serum and plasma only (see Figure 2: Recommended HIV Testing Algorithm for Serum or Plasma Specimens). Clinicians caring for patients with HIV-2 infection should contact the Wadsworth Center’s Bloodborne Viruses Laboratory at (518) 474-2163 for guidance on HIV-2 viral load monitoring. HIV-2 is distantly related to HIV-1, the virus responsible for the vast majority of HIV infections throughout the world. HIV-2 infection is predominantly found in West Africa, including Guinea-Bissau, The Gambia, Senegal, Cape Verde, Cote d’Ivoire, Mali, Sierra Leone, and Nigeria. Although the prevalence of HIV-2 in the United States is very low, cases are concentrated in regions where West African immigrants have settled, particularly in the Northeast [Campbell-Yesufu and Gandhi 2011]. Although HIV-1 and HIV-2 have similar routes of transmission and can cause immunodeficiency, HIV-2 is generally associated with lower viral loads, lower transmission rates, and slower disease progression than HIV-1 (see the NYSDOH AI guideline HIV-2 Infection). HIV-2 Abs are readily detected by HIV-1/2 screening tests, but many HIV-2 infections have been misclassified HIV-1 by Western blot testing because HIV-2 Abs display a significant amount of cross-reactivity with proteins on the HIV-1 Western blot. By following the CDC/APHL recommended HIV testing algorithm, HIV-2 infections should be accurately identified using an HIV-1/2 Ab-differentiation test. In some cases, an HIV-2-specific NAT may be needed to definitively confirm or exclude HIV-2 infection. In particular, HIV-2 RNA testing is needed to detect or exclude infection in infants born to individuals with HIV-2. Such testing may also be needed to resolve cases where both HIV-1 and HIV-2 Abs are detected but not differentiated on the Ab-differentiation test. No FDA-approved HIV-2 NATs (DNA or RNA) are available. The Wadsworth Center, New York State’s public health laboratory, has validated a laboratory-developed real-time reverse transcriptase-PCR (RT-PCR) test for both qualitative and quantitative detection of HIV-2 RNA in plasma samples. The Wadsworth Center’s HIV-2 RNA test has been reviewed and approved for clinical use by the NYSDOH Clinical Laboratory Evaluation Program. For more information on submitting a specimen to the Wadsworth Center for HIV-2 RNA testing, please contact the Bloodborne Viruses Laboratory at 518-474-2163. Clinicians should educate patients about the limitations of in-home testing and emphasize that both nonreactive and reactive results of any in-home HIV testing should be repeated by a laboratory. Several HIV screening tests have received a CLIA waiver, which allows the test to be performed in non-laboratory, POC settings. A waived test has been determined by the FDA to be simple and has easy-to-follow instructions that allow those with limited training to perform the test correctly (see the CLIA Certificate of Waiver for more information). CLIA-waived tests use easily collected fingerstick blood or oral fluid samples and have simple procedures that can be reliably performed with minimal training. For more information about HIV testing of oral samples, see Alternative HIV Tests: Oral and Urine Specimens. Screening tests performed under an FDA-approved CLIA waiver provide a suitable option for initial HIV testing when it is not possible or practical to collect blood by venipuncture to submit to a clinical laboratory for the initial test. All of the FDA-approved HIV POC tests may also be used with plasma or serum specimens; however, the CLIA waiver does not apply to these specimen types. The additional steps and instrumentation that are needed to process blood to plasma and serum add complexity to the test procedure, and therefore these tests are classified as of moderate complexity for serum and plasma specimens. See Table 3: Characteristics of FDA-Approved Rapid HIV Tests for more information about FDA-approved rapid screening tests, including POC tests. HIV rapid screening tests are single-use test devices that produce results within 60 minutes but usually within 30 minutes. Table 3: Characteristics of FDA-Approved Rapid HIV Tests lists the characteristics of each of the eight current FDA-approved rapid tests. Result interpretation is simple and typically performed visually without the need for any instrumentation. A reactive result is indicated by the appearance of a line or circle in the appropriate area. All of the devices include a built-in procedural control that is required to produce the expected appearance in order for the test result to be valid. Although many rapid screening tests have been designed for POC use, many clinical laboratories also use rapid screening tests for HIV screening, especially in situations where a result is needed very quickly or when the laboratory’s overall testing volume is low. Depending on the device and its specific approval, laboratories may perform rapid screening tests using serum, plasma, or whole blood specimens collected by venipuncture. Each of the rapid screening tests is restricted to the body fluid(s) that it was designed to analyze (see Table 3: Characteristics of FDA-Approved Rapid HIV Tests). For more information about HIV testing of oral specimens, see Alternative HIV Tests: Oral and Urine Specimens. Currently, HIV rapid screening tests may be used only as initial screening tests; they may not be used as the first step of the CDC/APHL diagnostic testing algorithm. As with other HIV screening tests, rapid screening tests employ various technologies, and some devices are more sensitive for early detection than others. The Alere Determine HIV-1/2 Ag/Ab Combo test is distinguished by its ability to detect both HIV-1 p24 Ag and HIV-1 and HIV-2 Abs. Studies conducted by the CDC showed that Alere Determine is capable of detecting HIV infection 1 to 2 weeks earlier than all other FDA-approved rapid screening tests but is less sensitive than the instrument-based 4th-generation HIV-1/2 Ag/Ab combination tests [Masciotra et al. 2013]. Aside from the Alere Determine test, all other FDA-approved rapid screening tests only detect Abs to HIV and so are less sensitive for identification of the earliest phase of acute HIV infection. These rapid screening tests detect HIV Abs 6 to 12 days later than 3rd-generation EIAs [Masciotra et al. 2011; Masciotra et al. 2013]. When a rapid screening test is performed, a reactive result should be given to the patient as soon as it is available and a blood specimen should be collected for diagnostic testing and confirmation of HIV infection. As with all HIV screening tests, rapid screening tests may produce false-positive results, particularly in populations that are not at high risk for HIV, and supplemental testing must be performed to confirm a reactive screening result. Patients who receive a reactive HIV rapid screening test result should be informed that the test result is not a diagnosis of HIV infection and requires confirmation. Recommended procedure for confirming a reactive rapid screening test: Clinicians should submit a blood specimen to a clinical laboratory for rapid screening test confirmation. If a rapid screening test was performed on oral fluid or fingerstick whole blood, a blood specimen should be collected by venipuncture and handled according to the laboratory’s instructions. The CDC/APHL advises laboratories to use the recommended HIV diagnostic testing algorithm (see Figure 2: Recommended HIV Testing Algorithm for Serum or Plasma Specimens) to confirm all reactive rapid screening test results. This includes the Alere Determine HIV-1/2 Combo rapid test when conducted on whole blood. The laboratory should begin testing the confirmatory specimen with one of the HIV-1/2 Ag/Ab combination immunoassays that is approved for step 1 of the HIV diagnostic algorithm. If the specimen is not reactive on the HIV-1/2 Ag/Ab combination immunoassay, the rapid screening test result is interpreted as a false-positive and no further testing is needed. If the HIV-1/2 Ag/Ab combination immunoassay is reactive, testing of the specimen should continue according to the algorithm as described in Figure 2: Recommended HIV Testing Algorithm for Serum or Plasma Specimens. Although the Western blot was considered the standard for confirmation of HIV infection in the past, it is no longer recommended except in a few special situations (see below). The Western blot is very specific, and false-positive results are rare; however, it has several important disadvantages. The HIV-1 Western blot is less sensitive than the newer generations of HIV screening immunoassays and will produce false-negative or indeterminate results on specimens collected before or during seroconversion [Owen et al. 2008; Masciotra et al. 2011; Styer et al. 2011]. The HIV-1 Western blot also produces indeterminate results for a variety of other reasons and misclassifies the majority of HIV-2 infections [Torian et al. 2010; Nasrullah et al. 2011; Lasry et al. 2014]. Notably, the Western blot has been completely eliminated from the recommended testing algorithm for laboratories performing HIV diagnostic testing on standard serum or plasma specimens (see Figure 2: Recommended HIV Testing Algorithm for Serum or Plasma Specimens). The indirect IFA is another supplemental test designed to confirm the presence of HIV-1 Abs. The IFA is not routinely performed for HIV diagnostic testing and is not recommended as a supplemental test for confirming the presence of HIV Abs. In certain situations, it may not be possible or practical to collect a tube of blood following a reactive rapid screening test, and supplemental testing of alternative specimen types may be necessary. FDA-approved HIV-1 Western blot kits are available for use with dried blood spot, oral fluid, and urine specimens, but only a limited number of laboratories offer testing on these specimen types. The limitations of the HIV-1 Western blot described for serum and plasma specimens also apply to testing performed on other specimen types. If an HIV-1 Western blot is performed on oral fluid, urine, or a dried blood spot and the result is negative or indeterminate, a serum or plasma specimen should be collected as soon as possible and testing should be repeated following the recommended testing algorithm. The NYSDOH Wadsworth Center offers confirmatory testing of dried blood spots for community-based HIV screening sites that are unable to collect blood for confirmation. Contact the Wadsworth Center Bloodborne Viruses Laboratory for assistance at 518-474-2163. Currently, only two in-home HIV tests are in use: the Home Access HIV-1 Test System and the OraQuick In-Home HIV Test. The Home Access HIV-1 Test System was approved in 1996 by the FDA for sale in the United States. The individual collects blood from a fingerstick and transfers the blood onto filter paper. The sample is then mailed to a facility for analysis using tests that have been approved by the FDA to detect Abs to HIV-1. Pre- and post-test counseling in the case of a negative result consist of a recorded message. For a reactive result, a trained HIV counselor will conduct post-test counseling over the telephone. If requested, a counselor is also available in cases of a negative result. Results are available in either 3 or 7 days. The OraQuick In-Home HIV Test was FDA-approved in 2012 to be sold over-the-counter for consumer use in individuals 17 years of age and older for use with oral fluid. For this test, the consumer uses an oral swab to swipe along the gums to collect a sample. The consumer then inserts the swab into a test tube provided in the kit and waits 20 minutes to see the result. OraSure provides 24/7 support in English and Spanish by telephone for technical questions, interpretation of results, counseling, and referrals for follow-up support and care. For more information about HIV testing of oral specimens, see Alternative HIV Tests: Oral and Urine Specimens. When discussing the use of in-home HIV tests with patients, the care provider should emphasize that though in-home tests have been shown to be generally accurate [Figueroa et al. 2018], both nonreactive and reactive results of any in-home HIV testing should be repeated by a laboratory. An additional limitation of in-home testing is that specimen handling and storage of testing kits are not performed by trained professionals, which may introduce error into the process. Many non-FDA-approved kits with questionable reliability are marketed illegally over the Internet and in newspaper and magazine advertisements. In the clinical arena, standard serological repeat testing, preferably a 4th-generation HIV-1/2 Ag/Ab combination immunoassay, is required for both nonreactive and reactive results of any in-home HIV test. CLIA, Clinical Laboratory Improvements Act; POC, point-of-care. Data shown are for HIV-1 only. For HIV-2 data, see package inserts. Information regarding CLIA waivers of HIV tests is available from the Wadsworth Center. A limited number of FDA-approved assays may be performed on body fluids other than blood, in particular oral fluid and urine, to detect HIV infection. Oral fluid, in the context of these tests, is not saliva but oral mucosal transudate (OMT) obtained by swabbing the gums. Oral fluid and urine specimens are collected by noninvasive methods, which offers an advantage in settings where phlebotomy is not available. The absence of needles, blood, and infectious waste also reduces the risk of occupational exposure to infectious agents. However, distinct limitations exist to using oral fluid and urine specimens for HIV diagnostic testing. The primary disadvantage of using oral fluid and urine specimens for HIV screening is reduced sensitivity and specificity of the test methods [FDA 2009a, 2009b]. The only FDA-approved HIV screening tests for use with oral fluid and urine specimens are 2nd-generation immunoassays. One EIA test and one rapid screening test have been approved by the FDA for use on oral fluid specimens. Though Abs are detectable in OMT, they are present at concentrations 800- to 1,000-fold lower than those found in serum or plasma. The Avioq HIV-1 Microelisa System may be performed on OMT specimens collected using the OraSure Oral Fluid Collection Device, and reactive results must be confirmed. The OraQuick Advance Rapid HIV-1/2 Test is the only rapid screening test that has been FDA-approved for use with oral fluid (see Table 3: Characteristics of FDA-Approved Rapid HIV Tests). The test detects both HIV-1 and HIV-2 Abs but cannot distinguish between them. This test is CLIA-waived and may be used with oral fluid specimens in POC and nonclinical testing sites. As with all screening tests, a reactive result requires further testing to confirm the result. As mentioned above, very few laboratories offer Western blot testing for oral fluid specimens. If the testing site does not have access to a laboratory that performs the OraSure HIV-1 Western Blot on oral fluid specimens, they must collect a blood specimen for supplemental testing. In some cases, dried blood spot specimen may be used for Western blot confirmation; however, this option is not routinely available in commercial laboratories. Abs to HIV-1 may be detected in urine, and one screening test and one Western blot are FDA-approved for use with urine specimens. Although urine specimens are commonly used for HIV testing in particular situations, such as testing conducted by insurance companies, HIV tests for urine specimens do not offer adequate sensitivity or specificity for general diagnostic use and should be avoided. In the clinical arena, both nonreactive and reactive results of urine HIV testing should be repeated with standard serological testing, preferably a 4th-generation HIV-1/2 Ag/Ab combination immunoassay.